I just did a diff on all the parameters (after removing NPN/PNP) and yes they are! I normally don't use Qucs for these type of simulations (utilizing 3rd party contributed component models. Guilty parties provided e-mail address). After this embarrassment, I probably won't again without checking much closer. It is great software for many things, especially s-parameter simulations. Again, sorry for wasting everyones time in this thread. No good deed (attempted) goes unpunished... why is that almost always true? My intuition squawked because of the difference in the two configurations, reasoning the PNP transistor does not contribute with pulsing DC on its emitter, so the Sziklai is using beta of only the NPN for multiplying capacitance. I went down to 1kHz to see if speed is an issue knowing that both transistor configurations are relatively slow. Very rare to see a Darlington used as a SMPS switch for example. Perhaps small signal AC analysis is better? If we assume the driver's base is an AC ground, it's acting as a low-pass filter and attenuation would show differences. No need to apologize, I don't think electronics is about being correct or perfect. For me the forum is about sharing and learning, I don't care if I'm wrong aside from the troll attack. Similar transistor models would help in the comparison, I was just lazy and using the ST 2N3055 that comes in the library. Rod Elliot from Elliot Sound compares the two configurations in audio and switching. No worries man, I appreciate taking the time to try. Well, since you're taking orders :-) When I ever get a chance, I want to test these Power FETS AUIRFS-8409-7P at 10A (or something similar). I can send you a couple (+) if you're interested. I use them in LT4320 bridges, up to 30A + and would love a simpler option for minimizing ripple. - For the sake of efficiency, the transistors operate at rather low Vce voltages where there collector capacitance is very large. This capacitance feeds the unfiltered input right to the transistor base. of two diodes from the input, with a resistor going to ground, and then a series resistor plus the cap). I'm using this circuit actually. When my signal into the op amp increases, the noise from the output of the transistor goes up too. Otherwise it's actually a good few mV ripple supply. This is barely scraping into the topic of the discussion but I think it might be useful for practiotioners of ripple removal. Instead of blocking the high frequency ripple you can shunt it out. Wenzel has an apponote here. While some of the circuits in Wenzel's appnote might have fair to good performance the one illustrated above looks pretty mediocre. Surely the highest effective attenuation (with the shunt transistor fully on and theoretically a short circuit) would be that of the divider formed by the 15 ohm resistor and the ~1k to ground presented by the rest of the circuit - i.e. a gain of 0.985 or -0.13 dB. With that relatively huge 1k in the way of the shunt current I don't see how it could be effective under any circumstances. There must be some error in the presented resistor values. Agreed. The 1K is probably 1Ohm in reality. With 1k the circuit is capable of removing about 150mVpp of garbage, as it sais, from a 12V rail, and it will change pretty linearly with the output voltage. In this circuit it's not easy to apply superposition, and analyze bias and signal independently. Other way you can think it would be the 15Ω resistor as part of the collector resistor and picking frome where the noise is smaller, or summing cancelling out the noise using an inverted signal. The point is the noise rejection capability is given from the DC and the ratio of those resistors, not from the signal itself. Then it's a matter of tweaking the gain for best cancellation and bias point for best efficency, depending on the shape of the ripple. Into an open circuit, yes. But with any kind of load? 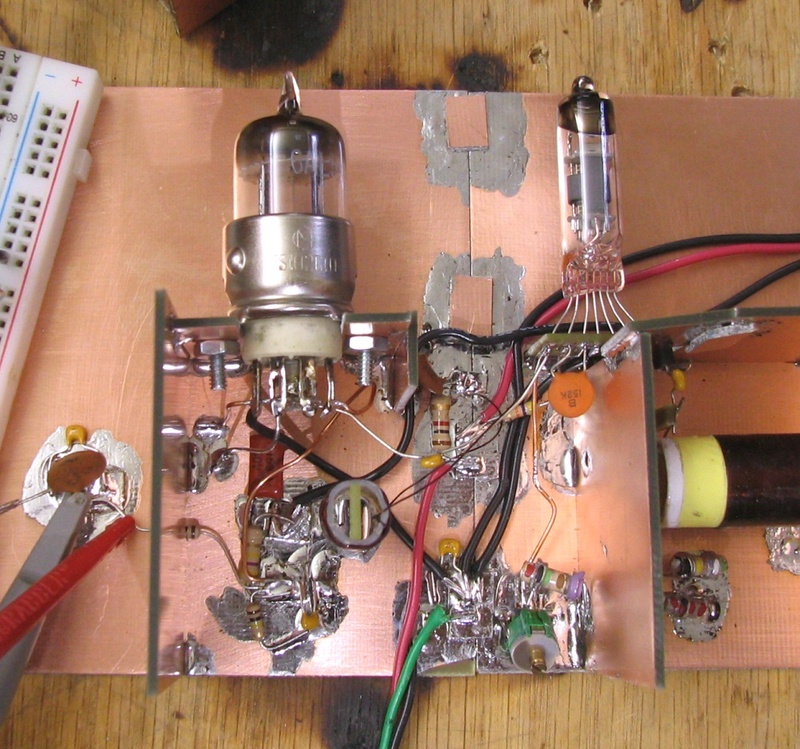 Remember, the LM317 is a 1 amp regulator. If it was drawn with a bijou regulator and a specified load, all well and good, but into an unspecified load with an implied maximum load of 1 amp and the shunt regulator capable of diverting at most 1mA/volt? The effectiveness is going to be very dependent on load. The text under the figure says it us for low current loads. The resistor on the LM317 output also prevents high current. how many of these problems does using an op-amp in the capacitance circuit eliminate? and he says its for instrumentation power supplies. Nothing in instrumentation is going to use 1 amps on the 15V rail unless its something really fast or there are a TON of chips. Am I right in thinking that its biased by like 20uA in steady state w/10V rail? Wenzel circuit uses LM317 just as an example of noisy (and cheap) LDO. It's intended use is powering very low noise OCXOs. The heater is powered from a separate regulator. What I normally do with the standard circuit is using a extra RC filter. Another way is actually forming a sallen-key filter. 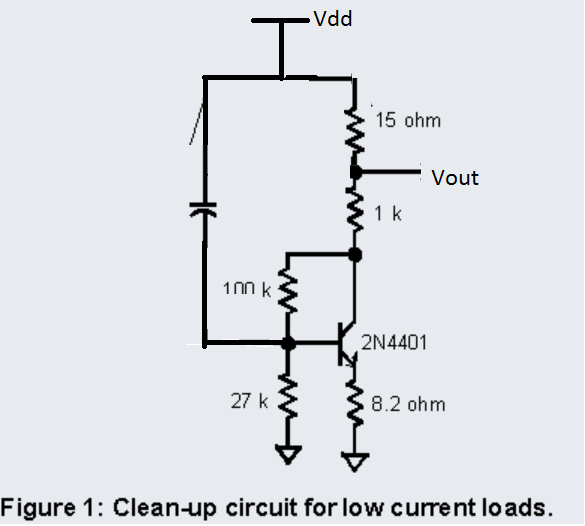 With these methods you can even get away with smaller capacitors. 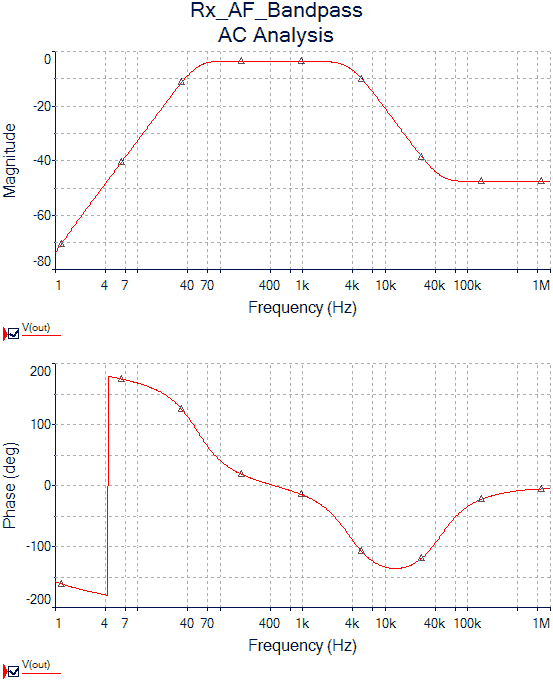 MPC1700 has a ripple rejection of less than -10dB at the frequency of 10kHz. Should use LM317 for your video instead. Someone ever tried to tap the switching regulator's feedback signal behind a capacitance multiplier to regulate away its voltage drop? Is there any change the regulator is still stable (careful routing of the feedback signal assumed)? I would not be so much afraid of a routing induced problem, but a problem with loop stability. Personally, I have never seen something like this in the wild. Maybe some SPICE could help. You don't want to do that within the same loop, the purpose of the C-mult is to have a very low frequency pole. The controller won't be able to react to its own changes. There are very few situations where you need perfectly stable output voltage AND low noise, anyway. Better to address the failings of your circuit, than to nurse it with an ever-more-complicated power supply. A capacitance multiplier in the loop makes a lot less sense than a postregulator. There are some Jim Williams Appnotes describing such designs. You don't want to do that within the same loop, the purpose of the C-mult is to have a very low frequency pole. The controller won't be able to react to its own changes. There are very few situations where you need perfectly stable output voltage AND low noise, anyway. There are many situation where you need perfectly, very god output stability and low noise. Better to address the failings of your circuit, than to nurse it with an ever-more-complicated power supply. yes. Better to have a pre and post regulator and local circuitry regulators. How the circuit should be in case of a negative input to the capacitance multiplier?